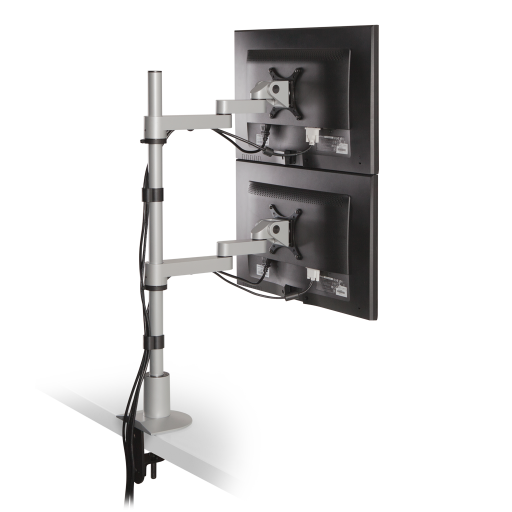 The dual 9112-D-28 monitor desk mount displays two flat panel monitors with dual articulating monitor arms for easy positioning. Various pole mount lengths and monitor extension arms are also available. 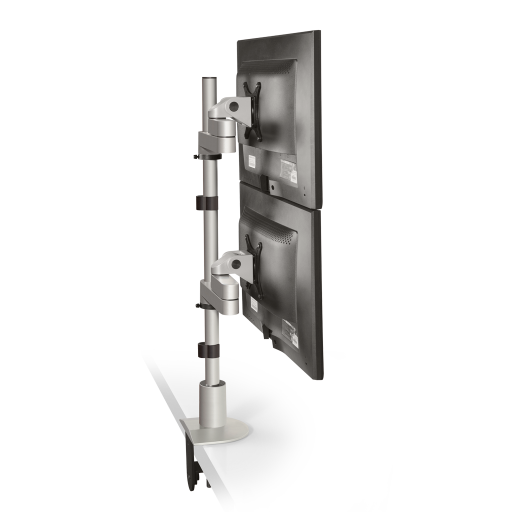 Easily mount two flat panel monitors with the 9112-D-28 articulating dual monitor mount. Each monitor may be positioned independently, one over another. 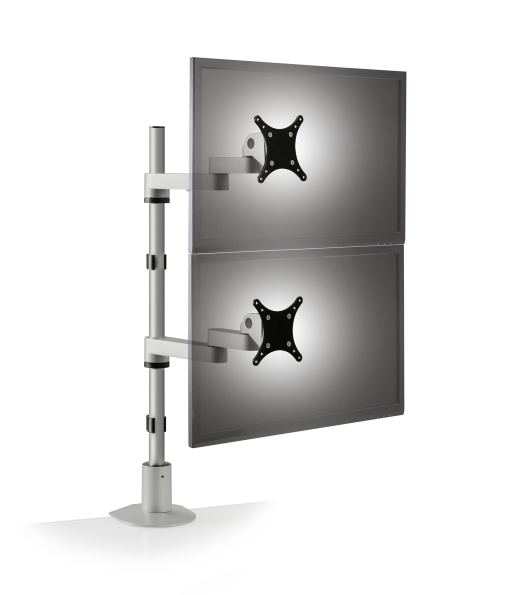 The foldable monitor arms adjust vertically up and down the 28” pole mount. The articulating arms can fold to fit in about three inches of space and extend out 14”. 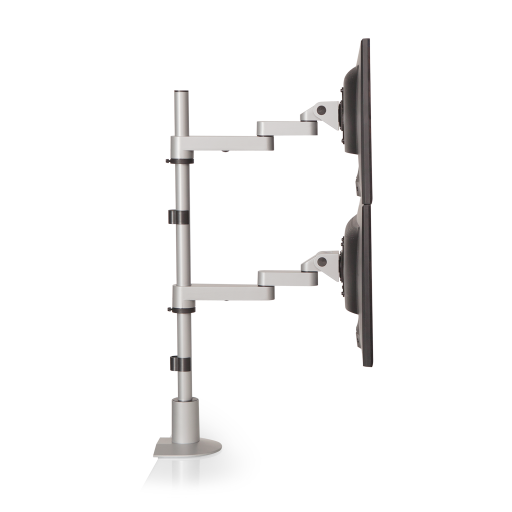 Various desk mount pole lengths and monitor arm extensions are available. The dual desk mount can also be custom designed to fit any application you are looking for. Unique cable management allows cables to be tucked under the monitor forearm for a clean desk space.